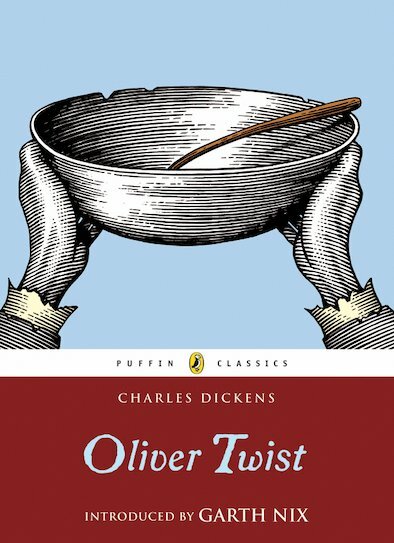 It’s no fun being poor like Oliver Twist. After he asks nasty workhouse boss Mr Bumble for more food, Oliver is chased away and left to fend for himself on the mean streets of London. His luck seems to be changing when he meets the Artful Dodger, a sly urchin who leads him to Fagin’s gang of pickpockets. But then a thieving mission goes horribly wrong. Avoiding prison by the skin of his teeth, Oliver finds himself in the care of kind Mr Brownlow. But Fagin and the brutal Bill Sikes are looking for Oliver, and they are determined to drag him back into a life of crime… Dickens’s timeless classic story of a boy trapped within the squalid underworld of Victorian London, now with an introduction by fantasy author Garth Nix.